Statues were one of the world’s most predominant art forms for centuries. Masters of sculpture created life out of stone and bronze; life which can live for longer than any painting. But the market for statues seems to have dried up—at least compared to the days of Ancient Greece—so you don’t see them too often anymore… except at sports stadiums. Maybe it’s because professional sports are obsessed with history and idol worship, but athletes seem to out-populate all other statue subjects ten to one. Across all the major sports, the one thing they all seem to have in common is a penchant for immortalizing their greats in bronze. And, since soccer is by far the most popular sport in the world, it shouldn’t be surprising that so many of these statues come out of the beautiful game. But the history of soccer and sculpture is overwhelmingly filled with missteps. Terrible statues, fan-backlash, public embarrassment—these seem to be the rule rather than the exception. And yet, they just keep coming. Sculpture is a bold art-form, but especially when creating a likeness of a real person. A statue is a three-dimensional simulation of a real person, meaning it’s extremely susceptible to the uncanny valley. For the uninitiated, the uncanny valley is the relationship between how realistic a representation of a human being is, and how unsettling it is. When a sculpture, or animation, or drawing, reaches a point where it is close to looking like real life, but very clearly is not real life, it becomes deeply unsettling. Think back to the years when CGI in movies wasn’t quite ready. 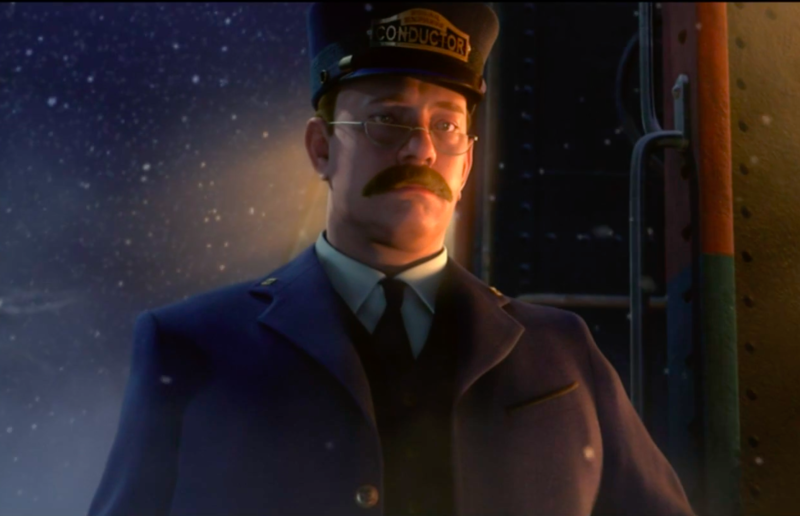 While characters in movies like Beowulf and The Polar Express were close to looking like people, they didn’t quite hit the mark, and today they seem like something out of a nightmare. I would think that all sculptors would need to be keenly aware of the uncanny valley, yet many of them seem to be blissfully ignorant of its existence throughout the entire sculpting process; only to have thousands of tactless soccer fans make it abundantly clear the moment a sculpture is made public. What else could explain the abundance of statues that look so… bad? The recently unveiled statue of Liverpool star Mohamed Salah is just the latest example. 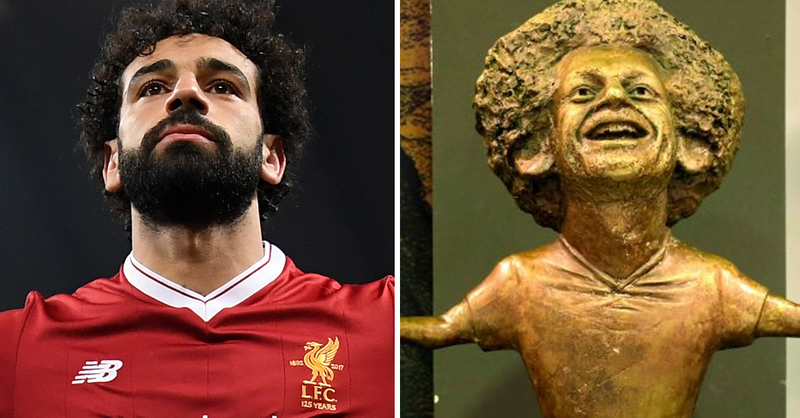 Yes, the sculptor made the bold choice to give Salah a comically large head and a tiny body, drawing comparisons to Leo Sayer, Art Garfunkel, and Marv from Home Alone, but the backlash against the Salah statue is just one stop on the long tour of bad soccer statues. There’s the unnerving statue of Uruguayan star Luis Suarez that many fans say has an undeniably vampiric aura. Some would argue that makes it perfect, given Suarez’s penchant for biting. Then, you have the bizarrely proportioned statue of Southampton great Ted Bates. Revealed in 2007, the metallic Bates looks like a young boy wearing an old man mask—and to boot, the mask doesn’t even look anything like Bates! We don’t even have time to go into the multiple bad statues of Diego Maradona, but look them up—they are not great. Of course, this has all been beating around the bush, because when you’re talking about terrible soccer statues, how can you not mention Cristiano Ronaldo? Obviously, the most famous is the goofily grinning bust that was unveiled at the Madeira Airport in Portugal in 2017. The internet had a field day with the sculpture’s close-set eyes and offset smile. 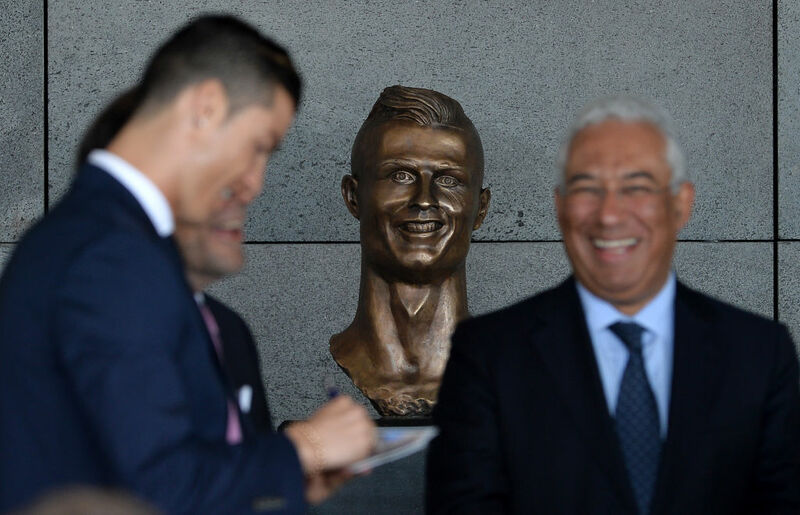 To be honest, the bust isn’t even the most ridiculous statue of Ronaldo. That title has to go to the likeness that he had erected outside his own museum to himself. So not only did this massive star build a whole museum dedicated to his own greatness, he had a statue built and put out front. And the best part? The statue has a comically tented crotch, showing off Ronaldo’s endowment for all the world to see. In this case, the likeness isn’t exactly the problem, but it seems like no soccer player can have a statue made of them without giving the public something to laugh at. Clearly, it’s hard to nail a statue. And yet, that doesn’t seem to stop soccer teams and stars from trying, trying, and trying again. What gives them the confidence that this statue is going to be the one that defies the odds and actually looks good? That people are going to like? I think maybe, that’s not the point. I don’t think anyone actually expects statues to look good or receive a warm reception. I think, sometimes, people just really want to build statues, and nothing’s going to stop them. 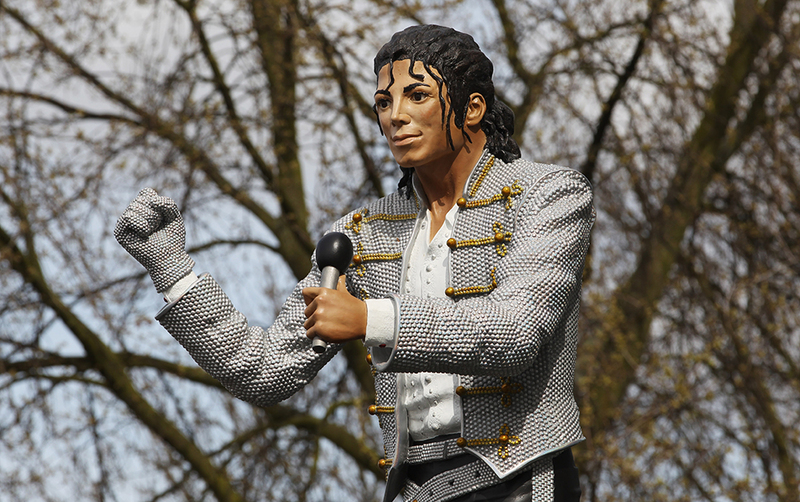 Fulham’s one-time owner, Mohamed Al-Fayed, was a friend of Jackson’s, and he wanted to erect a memorial to the departed singer. Well, wouldn’t you know it, Al-Fayed happened to own a soccer stadium, and really, is there any better place for a statue? I think not. So he had the sculpture built and placed it outside the Cottage. Finally, Fulham’s favorite son was forever memorialized in the team’s home. But of course, MJ was not Fulham’s favorite son. He actually had absolutely nothing to do with the team. It’s a shame, because honestly, among such greats as the Ronaldo Bust and the mini Mo Salah, Jackson actually looked pretty good. It’s not great, but by comparison, it looks like Michelangelo’s David. But like I said, it’s hard to nail a statue. Fulham fans were completely perplexed. Some thought it was an April Fools’ Joke. Some thought it made the team look like a laughing stock. But none of the backlash made Al-Fayed think twice. The team’s owner adamantly defended the statue. He famously said “Football fans love it. If some stupid fans don’t understand and appreciate such a gift they can go to hell.” When he sold the team and the new owners moved the statue due to popular demand, he blamed the team’s woes—they were relegated from the Premier League not long after—on the removal, as if the team was cursed for not accepting his statue with open arms. If there’s one thing that Al-Fayed was sure of, it was that the sculpture was great, and anyone who thought anything else was wrong. I don’t know why soccer teams, soccer fans, and soccer stars keep on building statues, but I’m glad that they do. Even when statues aren’t that bad, they seem to have the ability provoke an emotional response like nothing else. But, despite overwhelming evidence that making them is probably just asking for ridicule, they just keep on getting built. And if the people who build statues are all like Cristiano Ronaldo or Mohamed Al-Fayed, that probably won’t change any time soon. Even if you’re not a soccer fan, we can all be grateful for that.